Oliver and I have been waking at 5.30am since we arrived in London. This will come in handy when we need to be on the Heathrow Express back to the airport tomorrow morning. But it means we are pretty tired by 6 or 7pm at night. Last night Oliver turned off his light at 7.30pm (after reading a Horrible History book about World War II, which he bought at the Churchill War Museum yesterday) and was asleep within one minute. I was asleep not long after. 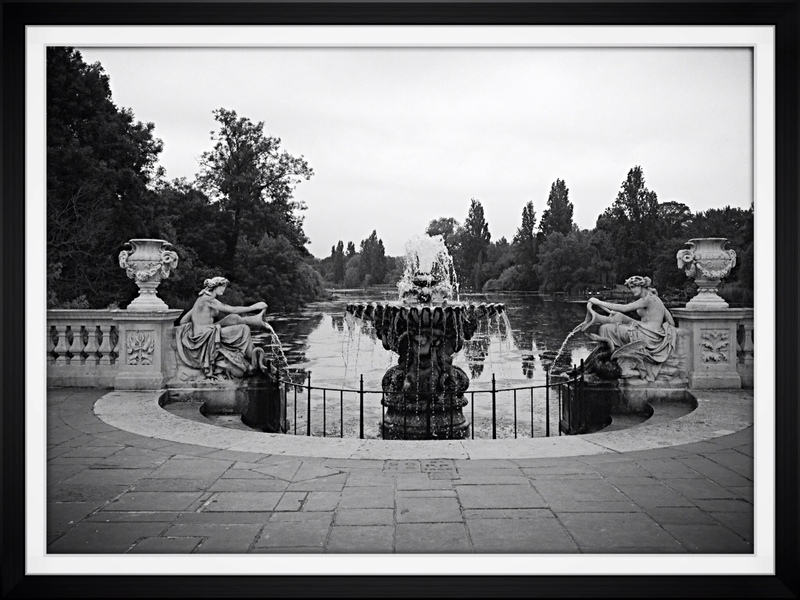 This means that we haven't been making much of the long London summer nights; it's still light outside when we go to sleep. Not sure how we will go when we need to stay up for conference dinners in Denmark! But then it's not very summery here right now. Yesterday the top temperature was maybe 21 or 22 and today it might get to 24. There's a cold bite to the air. Martin Conway told us that summers in England have changed over the last 10 years, getting progressively colder and wetter. The prediction this week is for rain every day. But then we're heading to Denmark tomorrow so it won't worry us! To take advantage of the jetlag, this morning we left the hotel at 7.30am (after Skyping Louisa and her nanny, Jennifer; hi Louisa and Jennifer!!!). 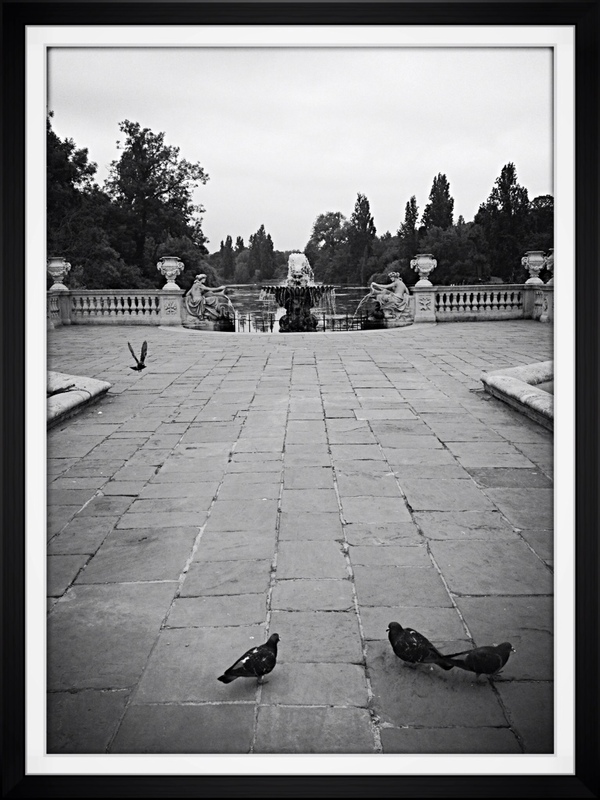 We grabbed a bag of bread we'd bought on Saturday and went to feed the birds in the Italianate Garden in Hyde Park. 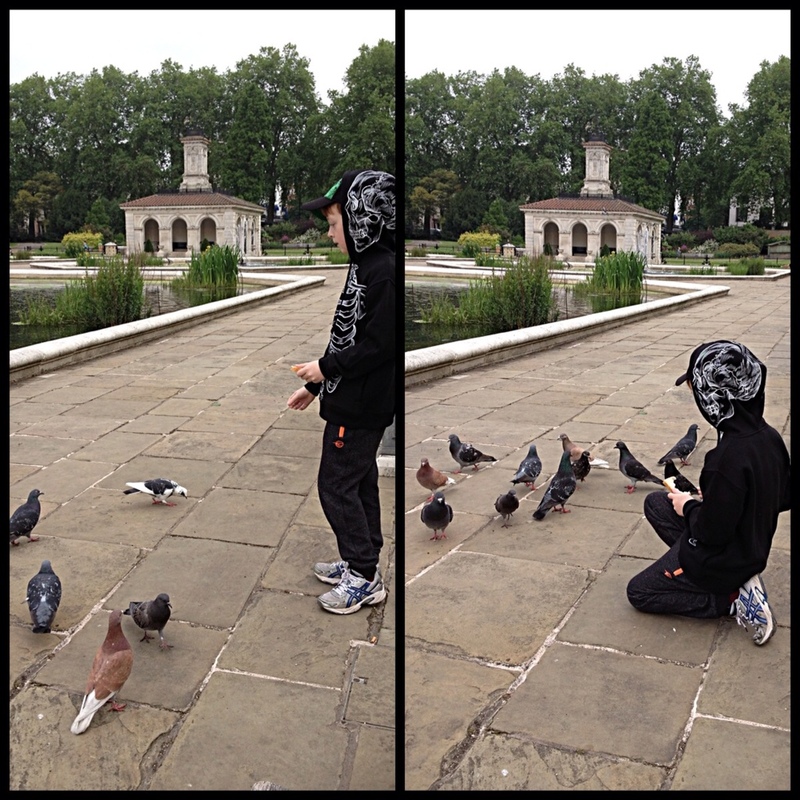 Oliver was soon surrounded by ducks and pigeons. 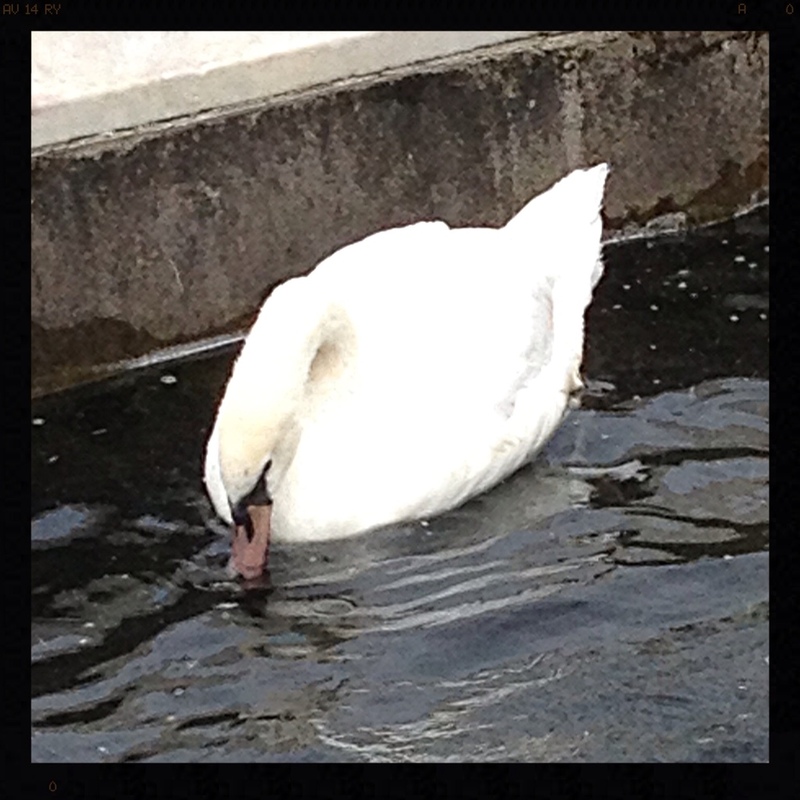 There also was a beautiful swan who seemed to like bread too! You'll notice in the photos that Oliver is well rugged up. It was about 13 or 14 degrees Celsius. Oliver had a wonderful time and has ticked off 1 of 4 things he wants to do today: ducks, Chelsea tour, Tower of London and back to the Zoo, which he loved yesterday.